When we’re developing a highly effective SEO campaign for your company, it’s our job to make sure we approach the task with as much useful information as possible. We take great pride in the fact that we approach our research from every angle before delving into the process. And when it comes to SEO, one of the most important parts of our strategy is our keyword research. During this keyword discovery phase, we identify relevant keywords that will generate the excellent results you’re looking for in terms of both rankings and traffic. At Consorte Marketing, our SEO professionals have been doing this for years, and we bring insider expertise, proven methods, and dozens of terrific results and customer success stories to the table. And we really want to use all of this to help your customers to find you, your site to succeed, and your business to thrive. But, as enthusiastic as we are about increasing your web traffic and bolstering your search engine performance, we don’t dive in without thorough and sensible preparation. 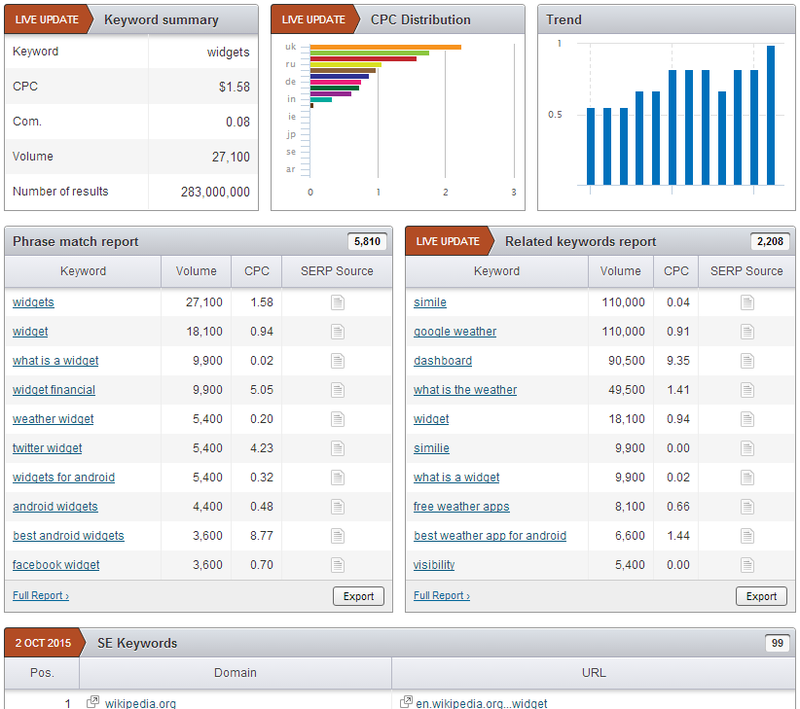 And for us, that means well-informed keyword research using a variety of highly effective tools. We combine our knowledge of the art and science of SEO with information about your brand and its place in your industry to produce a list of relevant keyword themes that are good targets for your campaign. Each keyword theme consists of a general topic – typically a high traffic, relevant keyword, plus a list of related long-tail keywords. For example, if the topic of a keyword theme is blue widgets then that theme might contain keywords such as blue widgets, big blue widgets, big chunky blue widgets, and blue widgets with wheels. A typical keyword strategy will consist of anywhere from 5 to 20 total themes, and each theme might contain anywhere from 10 to 100 keywords, depending on your industry, the level of competition and your budget. The ideal keywords have two important characteristics: high search volume (i.e. lots of potential traffic) and low competition from other sites in your niche. In layman’s terms, that means lots of people are using these terms when they’re searching for something on Google, Yahoo, or Bing—but other sites that offer products or services similar to yours haven’t invested significant resources into ranking for these same words. This gives us the opportunity to prioritize words and phrases that we target to get you the highest ROI possible. While we’re on the subject of competitive keyword phrases, now is a good time to tell you a little bit about our long-tail keyword strategy. This is part of what distinguishes our expert team from less effective SEOs. We don’t commit your resources to only the most competitive and difficult keyword phrases that are relevant to your brand, although that is part of what we do. But, beyond that, we also employ a long-tail strategy to determine keywords that are associated with a lower search volume, but that are still very useful for the message your site communicates. In isolation, one of these phrases might not seem like it means much to your campaign, but in aggregate, thousands of these keywords will bring you the high-quality traffic that generates conversions. We know the best ways to drive up traffic, boost ranking, and generate conversions. Thorough keyword research and discovery are important parts of our methodology. We’ll develop and unveil a successful campaign that gets your company the attention it deserves. Consorte’s experts understand that when it comes to SEO, these words and phrases really are key.